Fresh ground, served with love. There is nothing more important that a good refeed following a long run. This place serves tasty, well balanced and fresh breakfast. Highly recommend avocado on toast with poached eggs. They are more than happy to accommodate you with your food choices. Will let you mix and match:) for If you are around British Museum it is a great place... Them 99 rip Advisor. "Didn't have breakfast included in my Hotel deal so decided to venture round the corner and found this place. Spotlessly clean, very friendly and efficient staff, excellent freshly cooked breakfast so decided to return today and wasn't disappointed. Sure there must be a lot of competition in this area but this is a great little cafe so deserves to be..." Mike H. Trip Advisor. During a recent trip to London we visited the British Museum and wanted to find somewhere close by to grab a bite to eat. I had read about Salt and Pepper and Tripadvisor so decided to give it a go. Location wise is it literally around the corner from the British Museum so ideal spot. We both had paninis and they were delicious. Made fresh in front of you and only £4 each which for a London eatery was really great value for money. Would definitely recommend if you are looking for a quick bite and value for money. Ellemankv Trip Advisor. As a local London cafe we are awarded certificate of excellence 4 years over by our visitors Trip Advisor. Savory, excellent breakfast and lunch with fresh local ingredients. You can also enjoy a range of homemade cakes and freshly made teas. Artisan coffees evolve from sustainable farm practices which include a respect for the habitat and good production values at each stage: meticulous selection, milling and drying of the raw hand-picked coffee at origin, and careful crafting of the coffee into a finished form by the roaster. Salt & Pepper London is one of the best breakfast places in Tottenham Court Road. Our full English breakfast includes delicious bacon, eggs beans. You can read the visitors' rewievs about our breakfast by clicking here. Other regional variants are also available upon request. 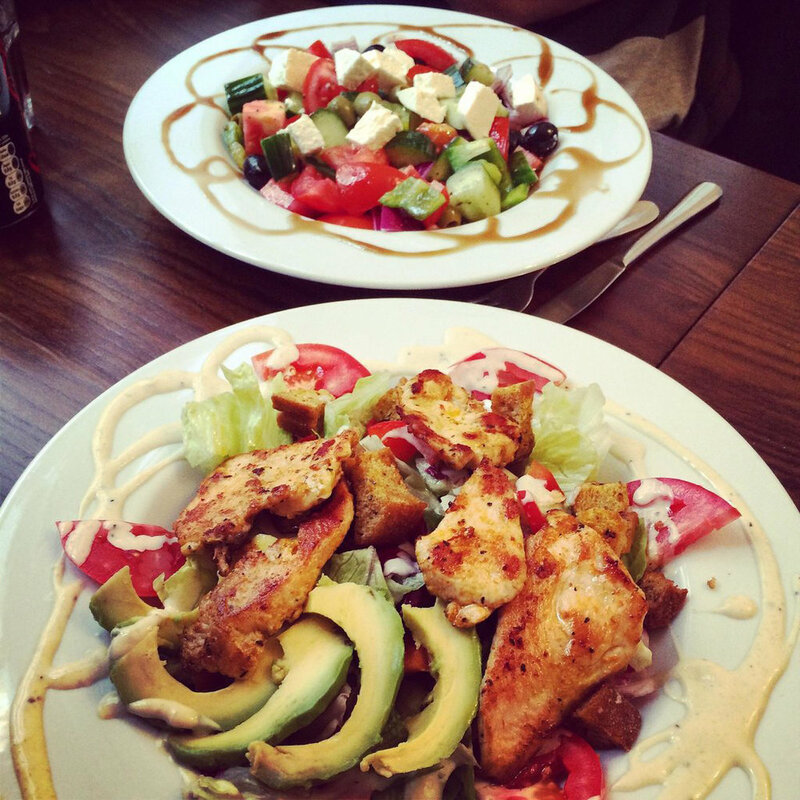 We offer a wide range of food for lunch in Salt & Pepper. Generous plate of Italian pastas, paninis, jacket potatoes, hot sandwiches, cold sandwiches, daily made fresh salads or soups. You get the best taste by price in Salt & Pepper London. Indulge in #AfternoonTea #Breakfast and #Lunch in Salt and Pepper London just a few steps away to The British Museum. Just a few minutes away by walk to British Museum, Salt and Pepper London restaurant has a stunning area and outside terrace. Sitting on the edge of Bloomsbury, is a popular London location for small or larger groups of tourists visiting London. Salt and Pepper is a whole local London restaurant for those who love genuine English breakfast and local cuisine, claiming delicious pastas, succulent sandwiches and fresly sqeezed fruit juices. With a capacity of 45 both inside and out, Salt and Pepper is a light and peaceful shelter. We’re just a 5-minute walk from British Museum, Dominion Theatre, The Shaftesbury Theatre, Oxford Street, Tottenham Court Road Station, Russel Square, New London Theatre, Cambridge Theatre.